From Matisse's monkeys and Pollock's poodles to Lichtenstein's llamas and Kandinsky's kangaroos, this beautiful 1-10 counting book provides an imaginative learning experience that will appeal to adults and children alike. 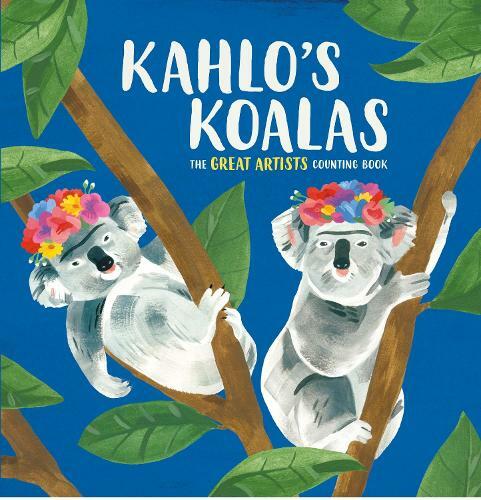 With illustrator Grace Helmer's quirky renderings of animals in the style of world-famous artists, Kahlo's Koalas extends the basic counting concept in a simple, one number, one image per spread format that introduces the smallest children to their first concept of numbers, animals and art appreciation. Featuring: 1 Picasso Panda 2 Kahlo Koalas 3 Lichtenstein Llamas 4 Matisse Monkeys 5 Pollock Poodles 6 Kandinsky Kangaroos 7 Van Gogh Geckos 8 Seurat Sloths 9 Warhol Warthogs 10 Monet Mice Includes simple, child friendly information about the ten featured artists plus a fun number sequence spread.